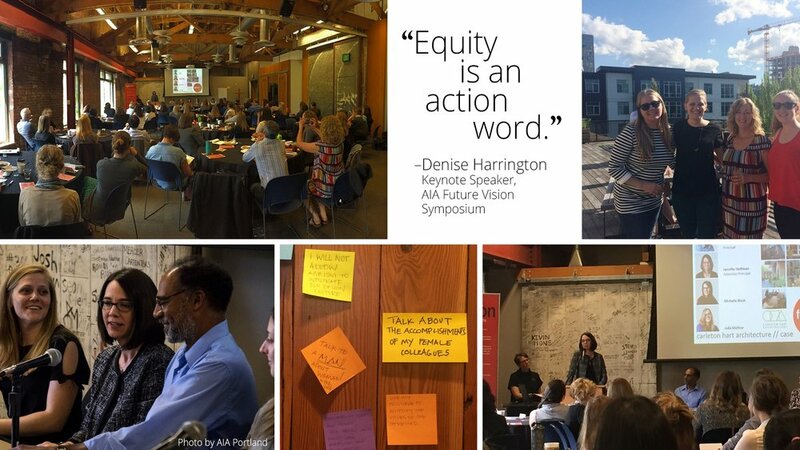 On May 19 Carleton Hart participated in a new symposium hosted by AIA Portland, Future Vision: The Value Proposition for Equity. Our own Bill Hart, Jennifer Hoffman and Julia Mollner participated in a panel discussion on the firm’s ongoing efforts to foster an equitable workplace. CHA proudly attended the Grand Opening of the NAYA Generations yesterday, celebrating the Native American Youth and Family Association’s completion of their 40 home, inter-generational community.